The spine provides structural support and flexibility to the torso, neck, and head. However, this vital component of the body can be easily injured by the forces exerted on the body in an automobile accident. If you have suffered a whiplash injury in Marietta, GA, it’s important to seek the help of a medical professional to assess the extent if your car accident injury, especially if you develop chronic pain. 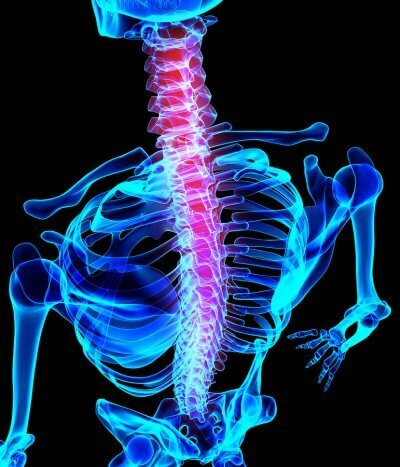 The interlocking bones in the spine, called vertebrae, are connected by facet joints. These joints are supported by cartilage that allows the spine to twist and flex easily. Cervical facet syndrome is characterized by deterioration of the facet joints, which can lead to chronic pain. Also called cervical osteoarthritis, this condition often occurs as a natural result of aging. However, trauma and injury to the spine, such as the type of trauma associated with automobile accidents, can also damage these joints and cause cervical facet syndrome at any age. Cervical facet syndrome typically causes localized joint pain, neck stiffness or soreness that may limit mobility, and headaches. A whiplash injury is a common car accident injury that occurs most often during rear-end collisions. During such a collision, the body, neck, and head are jarred suddenly, which puts excess strain on the spine and soft tissues of the neck, causing damage to these structures. With proper medical care, most individuals with whiplash injuries can recover fully within three to twelve months of their accident. However, if whiplash is severe or left untreated, it may lead to cervical facet syndrome. This occurs when the injury affects not only the soft tissues that support the spine, but the facet joints within the spine as well. Cervical facet syndrome is one of the leading causes of chronic neck pain after auto accidents. If you have recently suffered an auto accident injury, it’s vital to seek a medical assessment to determine the extent of your injury. With proper diagnosis and pain management care, you can prevent or minimize both short- and long-term pain.